Book your next home move with A1 Removalists Sydney the specialists in big home moves. When you need a BIG job done right, call A1 Removalists Sydney. We specialise in BIG home, office and warehouse removals. A1 Removalists Sydney is a family owned and operated business based in Sydney N.S.W. Our professional and friendly team offer a range of removal and packaging services covering Sydney Metro and Suburbs, throughout local NSW country areas and interstate.We aim to provide you with the right advice for your job and the best price possible. Whether its a small job or a large move, you can count the A1 professional service to make your upcoming move stress-free. 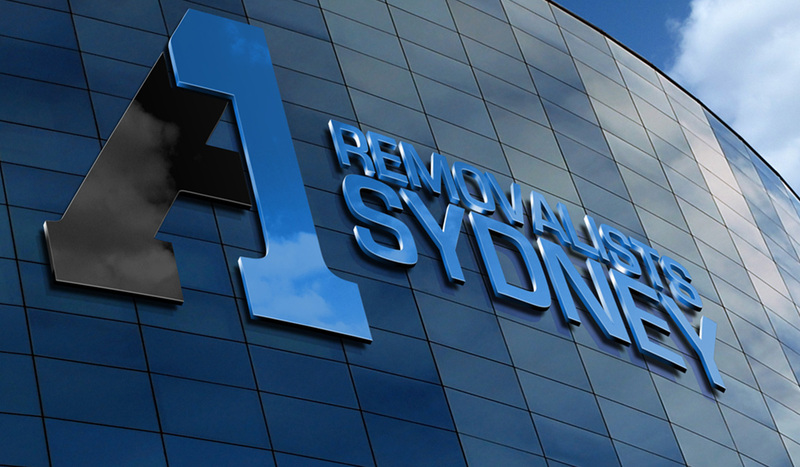 A1 Removalists Sydney are the specialists in BIG home removals and can cater for any size home move. We have the skilled office removalists ready to move your business with as little ‘down time’ as possible so that your business is up and running again in an instant. We specialise in big warehouse relocations. 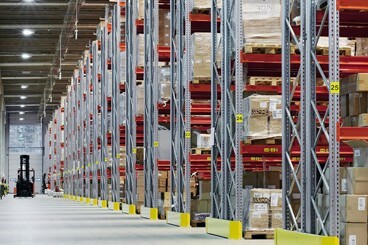 With years of experience relocating warehouse’s across Sydney, we're ready to move your business with minimal stress. Our Sydney to country NSW removalists service is reliable, professional and affordable. Our experienced interstate removalists can handle the long haul moving your boxes and furniture across the country. A1 Removalists Sydney have a range of removalist services to cater to your need. From packing appliances and important documents to labeling and moving delicate items, we cover some handy tips to help you prepare for your big move. Parking, pets and prioritising what gets loaded first onto the truck are all important considerations that should be made before the big moving day arrives. When moving into your new place, its best to direct your A1 Removalist to where you would like each piece of furniture to be located. On-time, efficient, careful and under budget: just a great experience with these guys who did their best to move our stuff from a house in Neutral Bay to a unit (3rd floor with no lift) in Dee Why. Thanks again Guys, will definitely recommend you to our friends and will use your service should we have to move again. On-time, efficient, careful and under budget: just a great experience with these guys who did their best to move our stuff from a house in Neutral Bay to a unit (3rd floor with no lift) in Dee Why. Thanks again Guys, will definitely recommend you to our friends and will use your service should we have to move again. The booking process was very smooth and my booking was confirmed following the quote and the day prior to the move, without me having to follow up. The team arrived on time and completed the job in the quickest time possible, without stopping. They also took care to wrap the furniture as necessary. I didn't feel that I had to supervise at any point during the transfer. There were no requests for unexpected charges at the end of the transfer, as I had experienced with other removalists. I was happy with the service and would use the same company again. The booking process was very smooth and my booking was confirmed following the quote and the day prior to the move, without me having to follow up. The team arrived on time and completed the job in the quickest time possible, without stopping. They also took care to wrap the furniture as necessary. I didn't feel that I had to supervise at any point during the transfer. There were no requests for unexpected charges at the end of the transfer, as I had experienced with other removalists. I was happy with the service and would use the same company again. Hi Aram, I wanted to express to you our complete gratitude for the fantastic job your guys did. They were early, respectful, polite, funny, a joy to be with, but they are extremely hard working and do your firm proud. Thanks again Aram. You and your staff took the stress out of the day. Hi Aram, I wanted to express to you our complete gratitude for the fantastic job your guys did. They were early, respectful, polite, funny, a joy to be with, but they are extremely hard working and do your firm proud. I will be highly recommending A1 Removalists to all our friends. They worked so hard, in my head I thought it was going to be a tough long day, the toughest part was keeping up with them when they unloaded the truck Thanks again Aram. You and your staff took the stress out of the day. 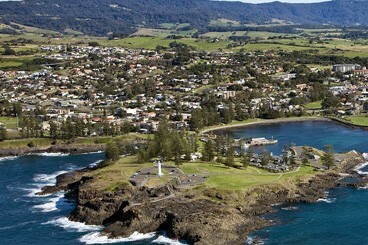 I moved from a storage unit in North Parramatta to Port Kembla on the South Coast. The two gentlemen who came, arrived at 9am and packed the truck in half an hour, which included using the lift as I was on the second floor. They were also fast at unpacking all my stuff, which included a double door fridge which barely fit through the front door. A1 Removalists Sydney were professional, helpful, and i paid less than i had anticipated. I would highly recommend this company to anyone. I would just like to say a big thank you to you and your team. I cant imagine that would have been an easy job for a Monday morning. Pete just sent some photos through to me. You did a fantastic job and we really appreciate your efforts. If you haven’t black listed us for this job we will use you anytime we need work done. Good Morning Aram, I would just like to say a big thank you to you and your team. I cant imagine that would have been an easy job for a Monday morning. Pete just sent some photos through to me. You did a fantastic job and we really appreciate your efforts. If you haven’t black listed us for this job we will use you anytime we need work done. Thank you for your service. 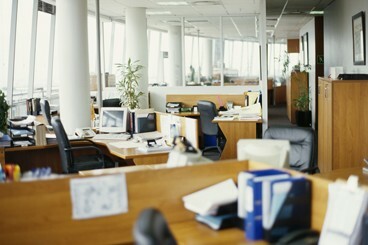 Your workers were punctual, polite, careful, extremely hard working and fast. They were able to problem solve as they went. They moved all my household goods into a steep narrow terrace without complaint, damage or breakages, all in 38c heat. I couldn't recommend them more highly, and I've had a wide number of experiences with others as a reference. Thank you so much. I just wanted to say thank you for your services last week in moving us from Sydney to Jindabyne. The boys had a hard job moving all our bulky furniture into the tiny little house and up the skinny stair way, but they managed and they did an awesome job. It was a very long day and they were polite, courteous and very helpful, so thank you again to you and your team. We will certainly be recommending your company to everyone. Hi Aram, I just wanted to say thank you for your services last week in moving us from Sydney to Jindabyne. The boys had a hard job moving all our bulky furniture into the tiny little house and up the skinny stair way, but they managed and they did an awesome job. It was a very long day and they were polite, courteous and very helpful, so thank you again to you and your team. We will certainly be recommending your company to everyone. I couldn't say more positive wonderful things about your service and Sam and Fadi! They were so professional and efficient and so incredibly kind and helpful. I will tell everyone I know that is planning on moving to hire these two boys and go with your service. When I move again next year I will definitely be calling you guys back! Thank you again so much for everything! My family and I would like to say a big thank you for the great service that your men provided. Sam and his team of guys did a great job and not only were they polite, helpful and quick, they did not damage any of our furniture too, unlike other removalists that we had in the past. They also arrived on time and there were no fuss. I would definitely recommend anyone to your company and should I have to move again I would use you guys again. I have been meaning to email since we moved on 10th December, but time has got away and I am now back at work and in some sort of organized state (I hope). The four men who moved us on Sunday 10th December from Glenhaven to Ourimbah were excellent in every way. They arrived at 7am ready to go and moved quickly and efficiently all day. Many of us complain when things do not go well, but forget to acknowledge and congratulate when things DO go smoothly. Your guys made our move so much easier for us by them being not just efficient, but friendly and helpful as well. We were more than happy with the service provided and have no hesitation in recommending your company to others who are looking for good Removalists. Please pass on mine and Peter’s thanks and appreciation for a job well done. We are delighted with our new home and hope we do not have to move ever again. I was extremely happy with the 2 guys that came, considering I called them to do the job that same day.They came around 3 pm after they finished their morning job,kept me posted how they were going with time. Nothing was too much trouble, they worked constantly to 7pm and were very polite. I would use the same company again just as long as the same 2 guys came. I was extremely happy with the 2 guys that came, considering I called them to do the job that same day.They came around 3 pm after they finished their morning job,kept me posted how they were going with time. Nothing was too much trouble, they worked constantly to 7pm and were very polite. I would use the same company again just as long as the same 2 guys came. I moved from windsor to the central coast. We are a family of 1 Mum, 3 children. I had them booked for Sunday morning. They phoned on Saturday to confirm for sunday. We asked if there was anyway they could come Saturday, they said yes between 5pm and 5.30. They came around 5.20pm. I had a bad domestic situation I was leaving. I had already informed the boss at time of booking, however things worsened, an time was the essence. I had Sam and Fade do our move. These guys where fantastic, the truck was packed in 1hr 45mins. We had alot of toys. It was very fiddly. They unloaded in about 2 hrs an that was because I had to much stuff for one unit an I had to last minute organize another one. SAM and FADE where so accommodating, so patient with me, as I was so upset. These guys are the best. They are worth their weight in gold. I highly recommend them to anyone. The hardest working, honest men around. A GREAT big thankyou to SAM an FADE. You made my move a breeze. Thanks guys. Thanks guys for a greet move from Sydney to Brisbane. Awesome job. I really appreciate it. Just sending you a quick email to thank you and your team. The guys yesterday were absolutely fantastic just like the ones were the last time we dealt with your company. The professionalism, expertise of you and your team was just wonderful. Dear Aram, Just sending you a quick email to thank you and your team. The guys yesterday were absolutely fantastic just like the ones were the last time we dealt with your company. The professionalism, expertise of you and your team was just wonderful. Again thank you. Just wanted to say thanks to the guys who moved our belongings out to Bathurst last weekend. They did a great job and did so well packing everything into the truck! I will recommend A1 Removalists to my friends in the future. I would like to thank you and your team for a smooth move to our new house. The team were very helpful. I would be very happy to recommend you to friends and family. Happy Christmas and a Happy New year with good health. I would like to thank you and your team for a smooth move to our new house. The team were very helpful. I would be very happy to recommend you to friends and family. Happy Christmas and a Happy New year with good health. Hi Aram, I would like to thank you and your team for helping us move to Oran Park on Saturday. There were no problems and everything was delivered perfectly. Your service is just wonderful; I will highly recommend your business. I just wanted to say thank you so much. The removalists on Saturday were great. They were easy to work with and did a great job. I just wanted to say thank you so much! It was easy efficient and a great service. I would recommend you and your team anytime. Hi Aram I just wanted to say thank you so much. The removalists on Saturday were great. They were easy to work with and did a great job. I just wanted to say thank you so much! It was easy efficient and a great service. I would recommend you and your team anytime. Thanks so much. Just wanted to let you know that the guys did an amazing job on Friday – very very happy with the job. Hi Aram, Just wanted to let you know that the guys did an amazing job on Friday – very very happy with the job. Thanks again. Just to let you know that your boys did a great job. Very fast, very friendly and very professional. A long day for them, hope they got home safely. Just letting you know that Steve and Pisa did a great job with our Canberra > Sydney removal. After a long military career stuck using the big firms contracted to the ADF, I was a little apprehensive but pleasantly surprised with the service from A1. Steve and Pisa were professional, worked fast and were very friendly. Nothing was too much trouble and all requests were met. Yourself on the phone had everything organised in no time. We will be using A1 again for our move to Brisy. Just letting you know that Steve and Pisa did a great job with our Canberra > Sydney removal. After a long military career stuck using the big firms contracted to the ADF, I was a little apprehensive but pleasantly surprised with the service from A1. Steve and Pisa were professional, worked fast and were very friendly. Nothing was too much trouble and all requests were met. Yourself on the phone had everything organised in no time. We will be using A1 again for our move to Brisy. I wanted to thank you and your Company for coming to our rescue with one day's notice to help us move. Desperate, you were my choice from the internet after reading your testimonials and we weren't let down, in fact, we were blown away on the day of moving. You sent us such a professional, polite and hardworking team, Sam, Steve and Jimmy, who couldn't do enough, nothing was a problem for them. I cannot praise your Company highly enough, and have already been recommending you to family and friends. It was such a pleasure to deal with the boys, on what is normally a very taxing, stressful day. Please pass on my regards to the boys and thank you so much for rescuing a very grateful family! Dear Aram, I wanted to thank you and your Company for coming to our rescue with one day's notice to help us move. Desperate, you were my choice from the internet after reading your testimonials and we weren't let down, in fact, we were blown away on the day of moving. You sent us such a professional, polite and hardworking team, Sam, Steve and Jimmy, who couldn't do enough, nothing was a problem for them. I cannot praise your Company highly enough, and have already been recommending you to family and friends. It was such a pleasure to deal with the boys, on what is normally a very taxing, stressful day. Please pass on my regards to the boys and thank you so much for rescuing a very grateful family! On Thursday last week I had Steven and Sam remove, pack, and transport boxes to Krambach. I just wanted to say they did a fantastic job. Professional and polite. They did everything I requested, and did it in good time. I will most certainly recommend your company to others. If you wouldn't mind passing on our thanks to the boys for a job well done. On Thursday last week I had Steven and Sam remove, pack, and transport boxes to Krambach. I just wanted to say they did a fantastic job. Professional and polite. They did everything I requested, and did it in good time. I will most certainly recommend your company to others. If you wouldn't mind passing on our thanks to the boys for a job well done. Thank you very much. I just want to say that Michael and the boys were wonderful. They were prompt, pleasant and eager to please. Thank you so much for a trouble-free move to Oberon. I will happily recommend your company to others. I just want to say that Michael and the boys were wonderful. They were prompt, pleasant and eager to please. Thank you so much for a trouble-free move to Oberon. I will happily recommend your company to others. Job done. You were right about using 2 trucks. Your guys did a fantastic job. Very professional, very fast. Thank you so much for everything. I used A1 Removalists Sydney recently for a move from Penrith to Parramatta. They arrived on time and did an excellent job. They are very friendly and professional. I would definitely use them and recommend them for my next move. I used A1 Removalists Sydney recently for a move from Penrith to Parramatta. They arrived on time and did an excellent job. They are very friendly and professional. I would definitely use them and recommend them for my next move. I wanted to say a MASSIVE thank you to Oliver and Sam who were AMAZING with our move from Cammeray to Kurri Kurri. They were so lovely under very trying circumstances and the move went off without a hitch with not a single item damaged. We are so grateful and appreciative of them going over and above the call of duty and would highly recommend A1 Removalists Sydney to anyone planning on a move. 10/10 Thank you! I apologise for the delay in my feedback as you can imagine it's been full on for the last week with the move. We were very, very happy with our move.... Your men were professional, friendly and worked a great pace. I would highly recommend your company to anyone who was thinking of moving. Many thanks for your patience and flexibility with our change in dates. Have a great day and wonderful Christmas. I apologise for the delay in my feedback as you can imagine it's been full on for the last week with the move. We were very, very happy with our move.... Your men were professional, friendly and worked a great pace. I would highly recommend your company to anyone who was thinking of moving. Many thanks for your patience and flexibility with our change in dates. Have a great day and wonderful Christmas. At both ends we were very impressed by the swiftness and amiability of your wonderful staff. In fact, your communication and can-do attitude right from the word go has been second to none; completely backed up in delivering exactly what you had promised. I will thoroughly recommend your company to my friends. Thanks once again. At both ends we were very impressed by the swiftness and amiability of your wonderful staff. 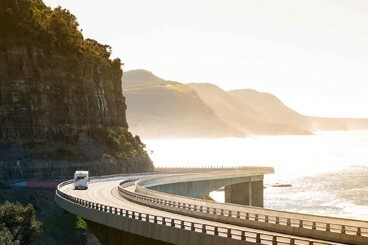 A1 Removalists Sydney is a family owned and operated businesses that is based in Sydney New South Wales. Our professional and friendly team, offer a range of removal and packaging services to cater for home removals, office removals or warehouse removals. We are happy to provide you with any advice and answer any questions you may have, regarding your next move. We provide for small and large moves, and offer a highly professional and competitive service.